After 1,5 years working for the same MINI account – with there typical (strong) visual identity – we grew tired of the black background. So we used this as a given fact. 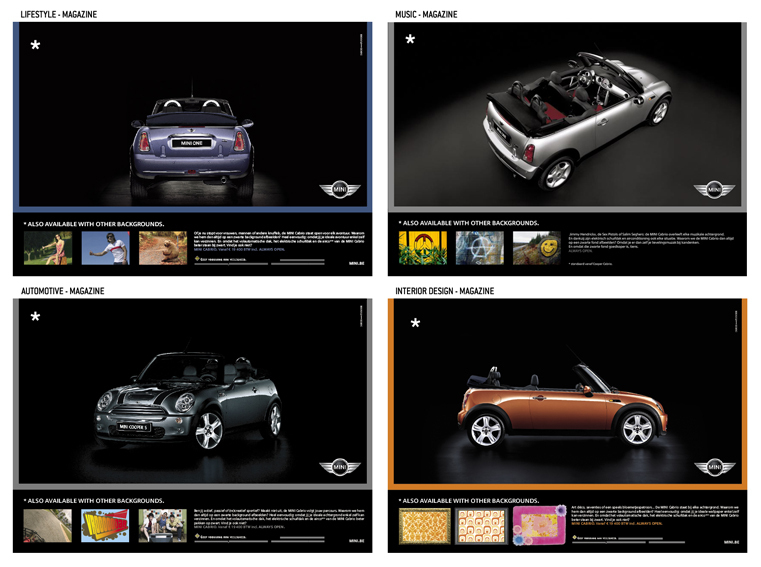 To show the diversity of the MINI Cabrio, we made a different ad for each type of magazine (lifestyle, business, fashion etc). 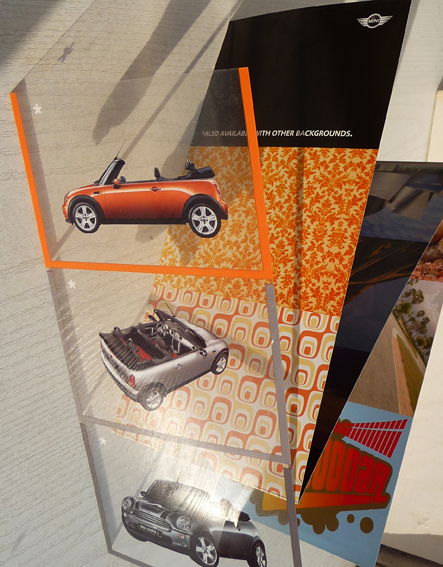 Each print included 3 extra backgrounds related to the target audience. They became personalized ads. We used this idea in other media as well. 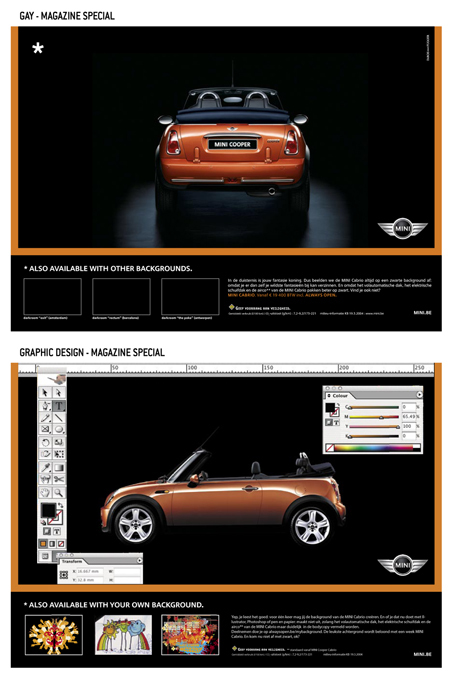 You received a mailing with the MINI Cabrio on a transparent background. So you could place it in whatever setting you liked best.